We would like to focus your attention on specific ages groups and suggest the right skin care methods to make sure that your skin stays fresh and healthy as long as possible. In the following article, we are focusing on 20s and 30s, and an article about skin care in 40s and 50s will be added soon. Your 20s are a great time for your skin. You’ve left behind the spots and blemishes of adolescence, but your skin retains a youthful glow and the epidermis is still plump and dewy. That said, skin cell renewal plummets by up to 28% once you reach this decade. The shedding of dead skin cells slows down as well, which can lead to slightly duller-looking skin. 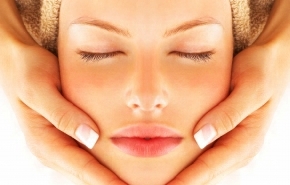 Here are some ways to retain that youthful complexion. You can counter the effects of ageing, even in the 20s, with these tips. • Get into the habit of using a cleanser and toner, especially if you wear make-up every day. • Use a product with a high SPF (around 15) daily. Penetrating UVA rays will bounce off collagen fibres and elastin coils in the dermis. Dermatologists say up to 80 percent of all ageing may be due to sunlight. • Now is also a good time to give up cigarettes. Sooner the better, and we all know why. When you reach your 30s, skin cell renewal slows down even more, while damage from pollution, smoke and sunlight begins to take its toll on the dermis. This causes collagen fibres to loosen, so the skin starts to sag. Red “spider” veins are also an age-related problem, caused by weakened collagen having less capacity to support the capillary walls. • By now, you should have established a daily skincare routine that involves cleansing, moisturizing, and protecting your skin from the sun. • Eat a balanced diet rich in antioxidants such as vitamins A, B, C, and E that fight off free radicals in the environment (they are unstable molecules that attack cells in our bodies and speed up aging processes). Together, these vitamins help the skin to repair itself, stay moist, and produce the enzymes that stabilize collagen production. • For further protection, try using an antioxidant face-cream, such as one that contains vitamin E.
• Cut down on excessive alcohol consumption. Drinking robs the skin of vital nutrients and causes facial blood vessels to dilate. They can dilate permanently, causing red spider veins to appear. • Keep drinking plenty of water to retain moisture in your skin. • Make sure you get enough sleep—we all know how much a few restorative nights’ sleep improves our complexion. This is all it takes and it all depends on you. If you would like to know more details or ask our expert about specific problems or queries, feel free to contact us anytime.